The First World War claimed over 900,000 British lives, and its legacy continues to be remembered today. Great War Britain: Guildford offers an in-depth portrait of the town and its people during the 'war to end all wars'. It describes the local reaction to the war's outbreak; charts the experience of individuals who enlisted; shares many first-hand experiences, including tales of the Zeppelin raids and 'spy hunts' of the era; examines the work of local hospitals; visits local POW camps; and explains how the town and its people coped with the transition to life in peacetime. 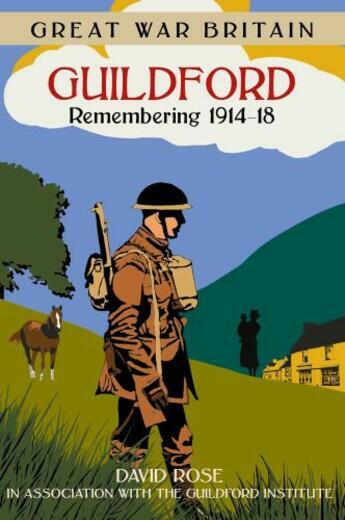 Vividly illustrated with evocative images from the collections of the Guildford Institute and also from private local collections, including the author's, it commemorates the bravery and sacrifice of Guildford's people between 1914 and 1918.